On Sunday I went with the crew from Los Pantanos de Villa wildlife reserve into central Lima, where they had a stall at the FestiFeria. 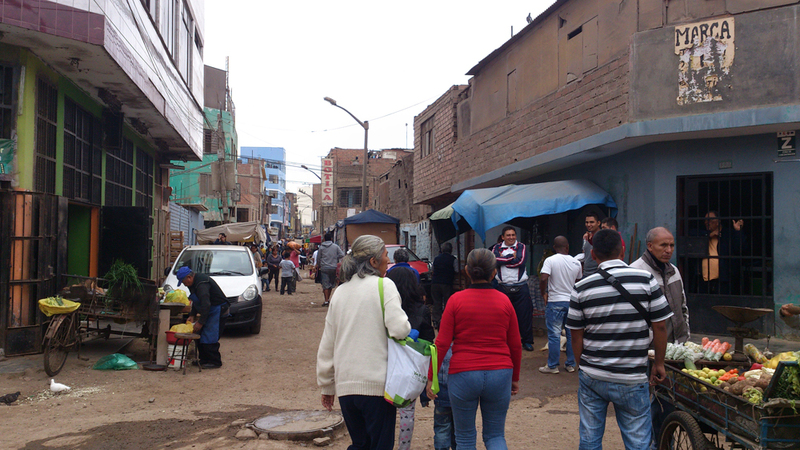 The FestiFeria is a moving fair of government services that visits the poorer districts of the city and I was interested to see the sorts of things they do. As well as providing information about educational and recreational services, the fair also provides front-line services that people would otherwise struggle to access: there’s a triage unit and medical consultations, dental services, domestic violence support, notary services and registration assistance for various government initiatives and programs, or even just getting an official ID card, which can be a challenge when you’re poor and illiterate. Each time I wander into the poorer parts it changes me. It steals a little more of my optimism and energy, my faith in humanity. 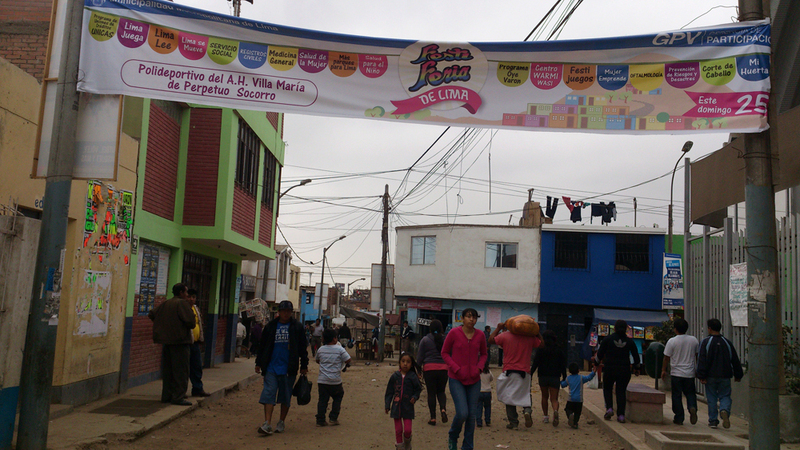 It teaches me a little more about Peruvian culture and politics and the daily reality of many. Each time I come back understanding more about the causes of Peru’s social and environmental problems, and understanding how little I can actually do about any of it. This huge, tangled mess of culture, history, colonialism and human nature… I trace the problems to their roots and through my ecologist’s eyes begin to see the way the environment has influenced culture to get to this point – a society so destructive of the very resources that it depends on to survive – and shake my head at the irony of modern human behavioural ecology. Peru’s environment is inherently unstable and unpredictable. This is a land of earthquakes and landslides, where a loose chip of glacier destroys a whole district every 50 years or so. It’s a place of rainless deserts, harsh highlands and thick jungle, where resources are frequently scarce and fiercely defended. Rainforest soils are too thin and poor to support agriculture, but traditional tribal hunting and gathering has been replaced by forestry, oil and gas extraction, illegal mining and ill-advised cattle ranching as modernity stretches its grip into the Amazon. Rain falls in great torrents that wash away the young earth of the still-rising Andes, then disappears for 7 months of hard frosts and cloudless days in alpine plains where the hearts of empires formed and fed their armies by sculpting the mountainsides into innumerable terraces . Desert life depends on the flow of Andean water both overland and underground, and on the richness of the sea. 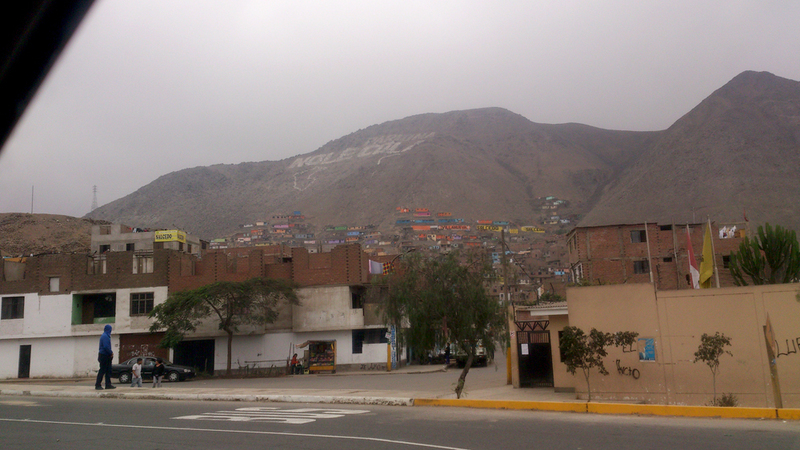 Ecologically suited for small settlements, Lima now holds almost 10 million people trying to make a living in the dust. Peru has no history of long, stable empires. Whole civilizations rose and fell again in 500 year cycles, leaving behind an immense number of ruins that silently speak of conflict: small walled cities, forts and check-points, warrior’s tombs. The resource limits of this harsh environment are reflected in a long history of war and violent conflicts. Coupled with a society organised into small, tightly-knit clusters, with the family the centre of all loyalties, you have little incentive to invest in anything beyond your immediate circle or the immediate future. It makes no sense to take risks on long-term pay-offs in a highly unstable, unpredictable world. Better to focus on what you can get right here and now. The natural environment has shaped the cultures here more deeply than a few short decades of modern capitalism can shift. Instead capitalism, imposed through Catholic colonialism, is just providing a new set of weapons for the ongoing resource conflicts. New tools for the same old wars that have been fought here forever. It’s not mad, it’s not bad, it’s not some sort of grand cultural failure, it’s just the way things are here. To change it at all it will take a very long time and the collective will of the Peruvian people, and maybe it shouldn’t be changed at all. The West has risen on the back of an unprecedented period of global stability and low numbers of natural disasters. It wouldn’t take much for that to crumble, and it could be argued that the process has already begun. 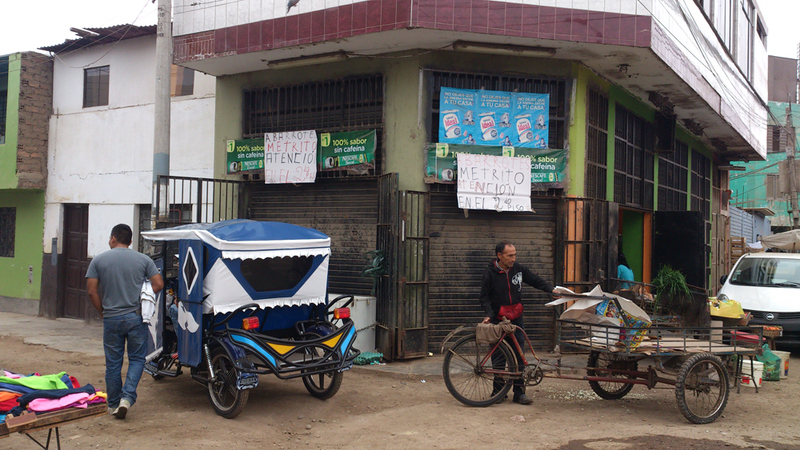 For most of human history the world has been a dark and chaotic place and the Peruvian ways of doing things are very good at rapid adjustment and adaptation to that sort of world. The cultures here are well-adapted to the natural environment, and it makes sense evolutionarily to leave things be. That rather Darwinian long view is hard to accept though, when I’m seeing the human and environmental costs of it all right now, on a daily basis. I can’t fix Peru. I don’t know if it can, or should, be fixed. All I can do is try to understand why this country is the way it is, what makes it tick, and to plant little seeds of ideas here and there for how things could be different. If I’m lucky, some might germinate and maybe one or two take root and grow. That seems to be a fair thing to hope for. Meanwhile, the experiences of living, working and travelling in this mad place continue to challenge and to change me. The only thing we can do as individuals is a little… but we should still do it! Meanwhile, I’m trying to not let the scale of the problems here get to me. More salsa dancing and less visits to the slums, for the sake of my mental health. This is a thoughtful piece, thank you for sharing your insights. Thankyou for reading. The developing world is a complex and complicated place, and we well-intentioned westerners need to understand that western approaches frequently don’t translate well to the local context. I see a lot of good people accidentally making things worse by applying western thinking to Peruvian problems. If we really want to make a difference here we need to enable local people to develop their own approaches. I believe education is the place to start. I agree our ways definitely aren’t the best avenues for other cultures. Hell even for our own, look at how things are in the west, people are some of the unhappiest in the world despite their wealth and easy access to health care, education etc. My concern with assisting other countries is that they might lose their own culture in the process – yet to help others is so important .. such a fine line! Also, what’s that expression for the western world? We’re all 3 meals away from anarchy or something? Older, poorer cultures tend to be survivors, perhaps because they have to be.